Starting a successful social media campaign requires planning and putting together a sound strategy. Here are 10 tips that will get your campaign off the ground with a bang! Before launching a social media campaign you have a lot of planning to do. You must first decide what your primary (and secondary goals) for the campaign are. You then must list out how you will measure whether the campaign has reached its goals. Some common goals for social media campaigns include: lead generation, direct sales and increased brand or product awareness. When choosing which platform(s) to run your social campaign on, be sure to if there are specific rules for running a promotion on that site. For example, Facebook has very strict rules on where you can run a promotion on your Timeline and how you select and contact a winner. Violating these rules could result in the termination of your entire business Timeline. Each social network has its own search engine through which its users can search for interesting topics. Before you launch your campaign, be sure to come up with a list of keywords you’d like to rank for socially, and then use those keywords in your campaign posts. Many small businesses are well connected to their most loyal customers on social networks. However, if one goal of your social campaign is to bring in new audience members, you may want to supplement your social media posts with low cost Facebook ads, LinkedIn ads, email campaigns and other cross-promotional tactics. If part of your social campaign involves driving traffic to a specific place on the web to take a particular action (such as filling out a web form) be sure to create a landing page. This comforts visitors because they know they are in the correct place right away. Sending visitors to your homepage can be confusing because it requires them to figure out where to go next. 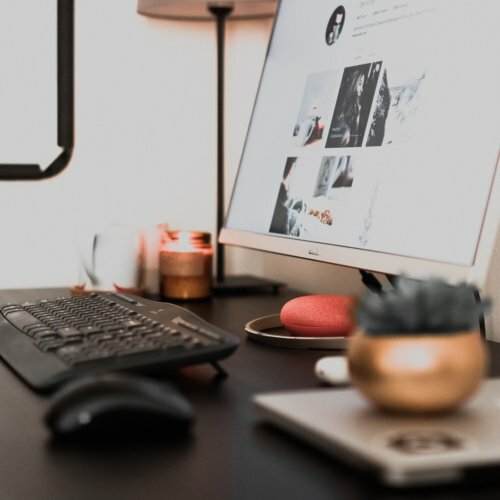 Make it as simple as possible for visitors and your conversion rates will soar.Here’s a great guide from Unbounce on how to create a social landing page. An influencer is a trusted, authoritative voice on a particular subject. Social media influencers are people in a particular industry who have build up large and loyal social followings. Before launching a social media campaign, create a list of influencers in your industry who may be able to help you spread the word about your campaign. The support of even one influencer can help you reach thousands or tens of thousands of new contacts. Before reaching out to the influencer, be sure to construct your best pitch on why your campaign will help his/her followers. Using a social CRM like Nimble you can view all of the conversations taking place around your campaign from one dashboard – no matter what network the social chatter is taking place on. Then using your social CRM’s sales and marketing automation tools you can turn your social community into customers for life. Throughout the entire life of the campaign, and definitely after it concludes, review your success metrics. Did you meet your goals? If not, what do you think you could have done better? What seemed to work really well? After your social media campaign concludes it’s time to conduct follow up with all of your new contacts. Likely throughout the life of the campaign you were responding to tweets, posts and other updates in real-time; however, building a long-lasting relationship with contacts requires following up days, weeks, months and years down the road. Using your social CRM identify the connections you made during the campaign and reach out and say “hello, again.” You can do this through a mass email (Nimble’s integration with MailChimp would allow you to do this seamlessly) but an even better idea is to have your sales and marketing team reach out personally through social engagement.